For SaleDon t ask before its 2075, than I am 110 Years! 7/8 Size ,1 Piece Quilted Maple Body, Birdseye Neck with Ebony Fingerboard. Treble/Bass Boost ( I forgot the Name - SPC, SPX ??). Switch on/off for every P.u. 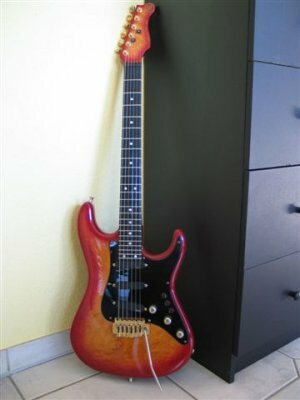 I became the Guitar with a Vintage Tremolo by Di Marzio because I don t wanted a FR or Kahler. 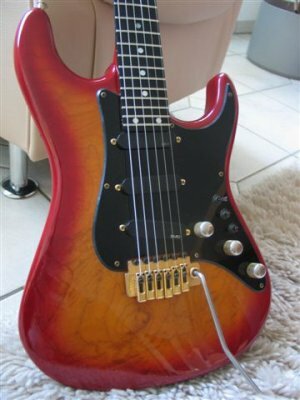 The other altenative were a Stop Tailpiece, but its looks too strange for me on a Strat. 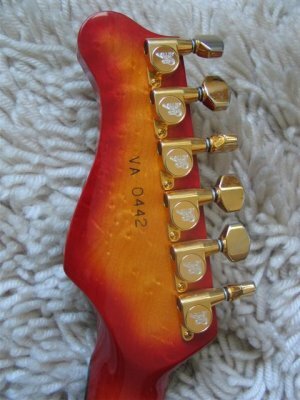 So I ve asked for a normal Tremolo. A few years later I changed to a Wilkinson VS-100.